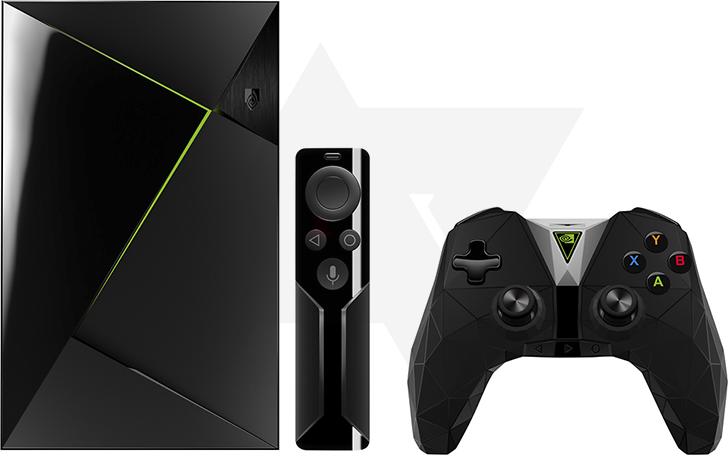 There have been rumblings that NVIDIA was planning a refresh of its popular Android TV set top box at CES in January, and based on pictures we've obtained, that definitely seems to be true. While we don't have any specifications or features to share, we can show you what the new box(es!) and their accompanying control devices look like. Visually, the new boxes and TV controller seem identical to the outgoing model - there's really nothing that's changed there as far as I can see. 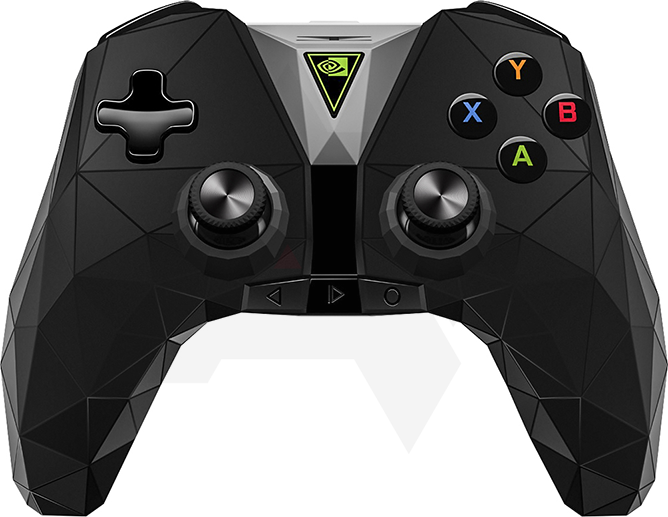 The gamepad, however, is sporting an overhauled design with some rather interesting geometric cues. I can't say I love the look, but the new shape does seem a little more ergonomic than the old controller. It also no longer has a touchpad, apparently. Finally, it appears that NVIDIA will be launching the 2017 version of SHIELD in two sizes. We have no idea what the difference between them is - be it performance, storage capacity, ports, or other capability. But we do know that NVIDIA clearly has images of the console in two sizes. However, given the lack of context, we can't be certain of anything, really - it's possible the smaller console was some kind of design exploration or represents a product announcement coming at a later date. It's also possible one of them is the older console, just now being sold with a refreshed gamepad. Again, all we have is the pictures, so what you're seeing here is everything we know about the new console(s), which really isn't a lot. Still, we felt the images worth sharing. 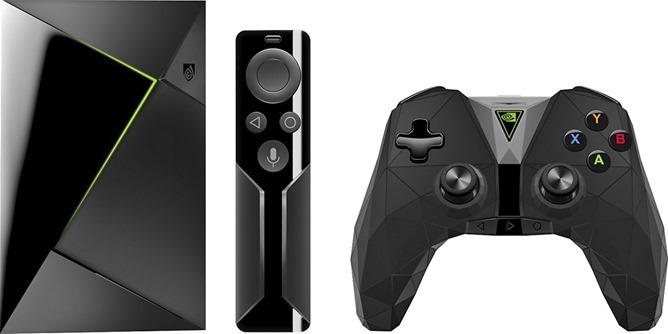 Earlier this year, the new gamepad (with a silhouette clearly matching the one in the images above) and remote showed up at the FCC, with claims the remote has been switched to Bluetooth 4.1, providing enhanced power-efficiency (which is good, as the SHIELD's remote dies quickly).